Advance Ultrasound is a specialist ultrasound practice passionate in providing high quality care to patients requiring general, gynaecologic, musculoskeletal, obstetric and vascular ultrasound imaging. Advance Ultrasound has an enthusiastic and friendly team and a welcoming environment where we love to provide excellent personal care. Delivering high quality ultrasound requires a combination of technology and people. 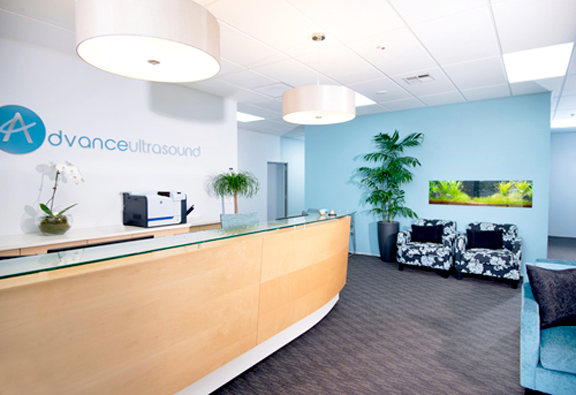 Advance Ultrasound is a ‘State of the Art’ practice. Our new Philips iU22 premium performance ultrasound system uses the latest technology with advanced 4D imaging. Our image storage, reporting and information delivery systems uses international class technology. Our referrers can view their patient’s reports and images quickly and securely through our user-friendly online interface. We offer electronic patient report status updates and critical results notification. Our team of highly experienced and skilled sonographers and radiologists work closely together ensuring consistent, reliable results along with regular continuing medical education updates. So why the name Advance? Advance can have many meanings, the most important for us is advance in the care of patients. Ultrasound provides advance knowledge allowing the health professional to plan treatment and avoid complications. With technology changing rapidly, we are also committed to advance with leading equipment and systems. The Advance Ultrasound team takes pleasure in providing specialist ultrasound care for our patients and healthcare providers.